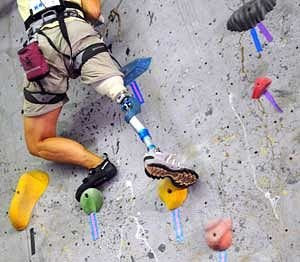 We understand the challenges facing people who require prosthetic care & we blend the use of skillful craftsmanship & technology to produce comfortable, functional, attractive, & high performance prosthetic devices. Our focus is on developing relationships with our clients so we can provide them with the best service & care. Our experienced team is dedicated to helping people seeking pre-surgical consulting, post surgical care, and ongoing rehabilitation attention for lower extremity artificial limb needs. With many years of combined experience in the prosthetic and orthotic field, our team can deliver best practices and provide superior patient care.